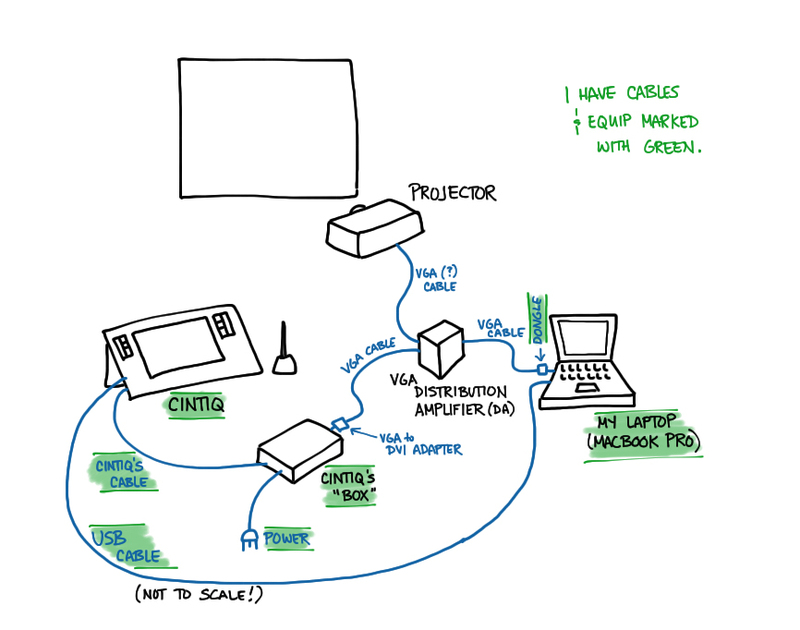 This is a reference diagram I drew in order to remember the setup that worked for projecting from the Cintiq tablet while I drew on it. 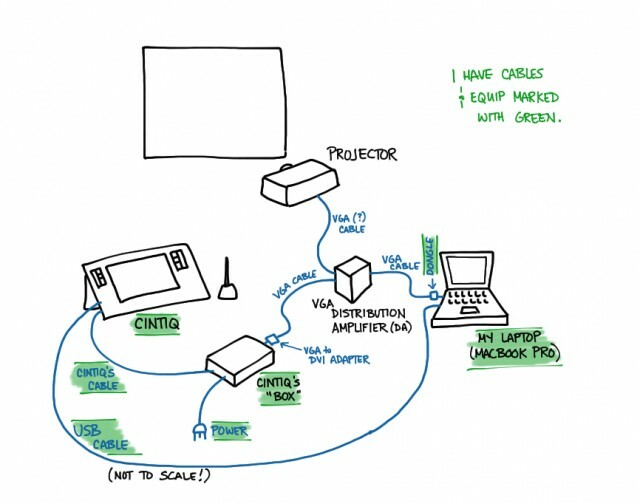 The VGA Distribution Amplifier (DA) is the key that makes the whole thing work. Ususally the AV folks can provide one. Also, I just realized the USB cable goes from the Cintiq’s “box” to the laptop, not from the Cintiq itself as it appears here. Posted in everything. Tagged with cintiq, tools. Matt Tanguay offers some great tips for creating mind maps using mindmapping software called MindManager. Posted in everything. Tagged with howto, mindmaps, tools.